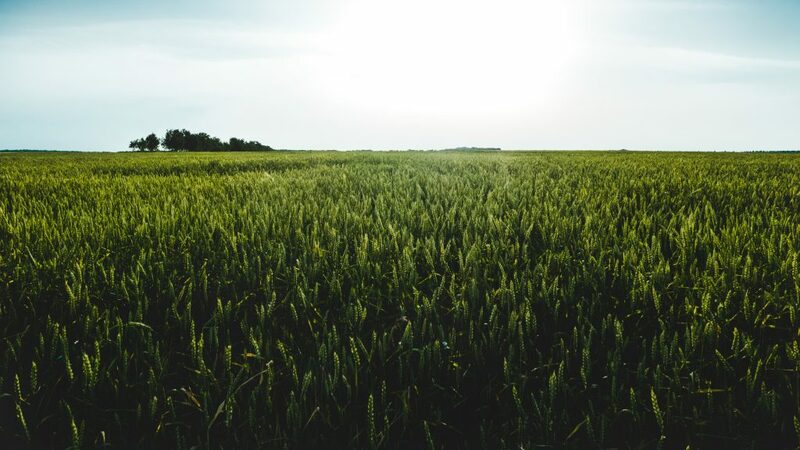 In 2014, a promising year began as Eden Solutions started a test of its amazing and revolutionary Blue Gold™ Solutions on a marginal chemical block of Missouri soil. The land went to yield unprecedented results. 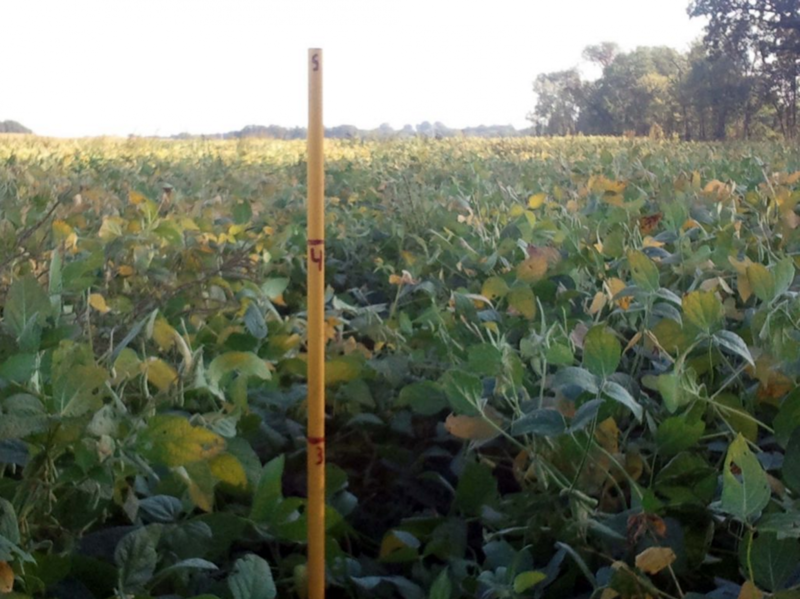 This is a standard soybean field *before* testing. 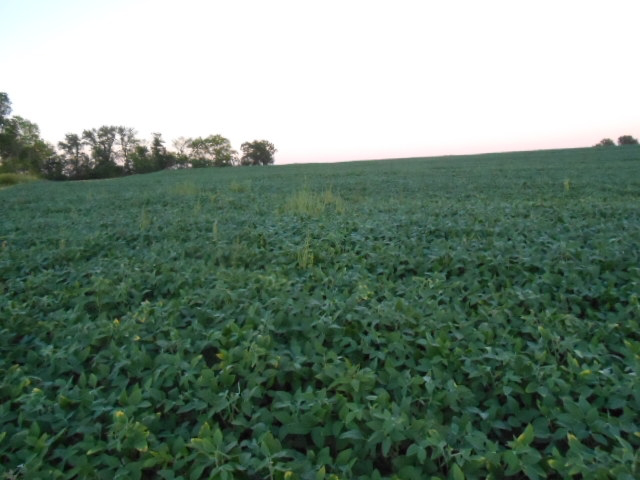 Notice last year’s corn crop fodder is laying all over the top of the soil between the soybean plants. This exhibits the chemical imbalance present in the soil, creating a marginal soil. In this aspect, the soil biology is low, dead, non-active or all the above. All notice the un-decayed corn stalks in the middle left of the field. 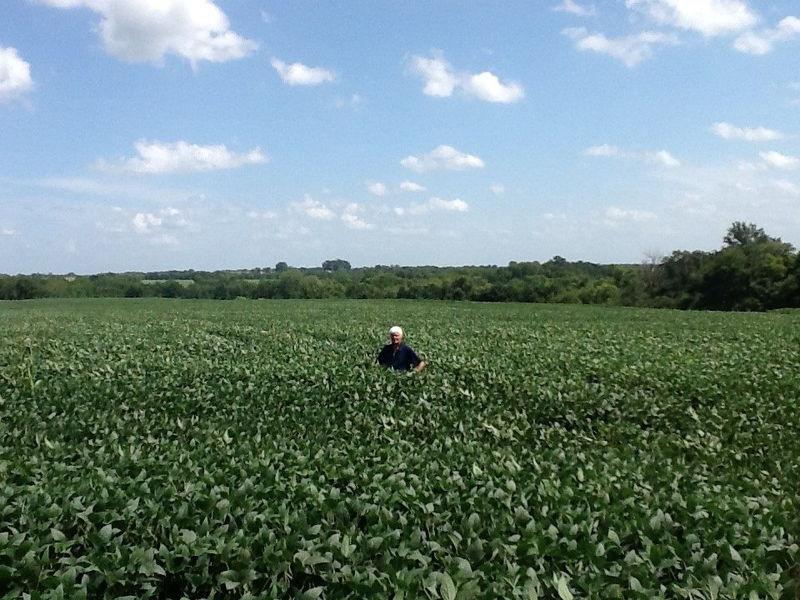 Planted on May 15th, these Pioneer Y-22 beans are a short variety only designed to grow 2 to 3 feet tall according to Pioneer Seed. This photo was taken on June 22nd just before the first Eden Solutions were applied. Notice the yellowing and bunt leaves from a herbicide treatment only four days prior. 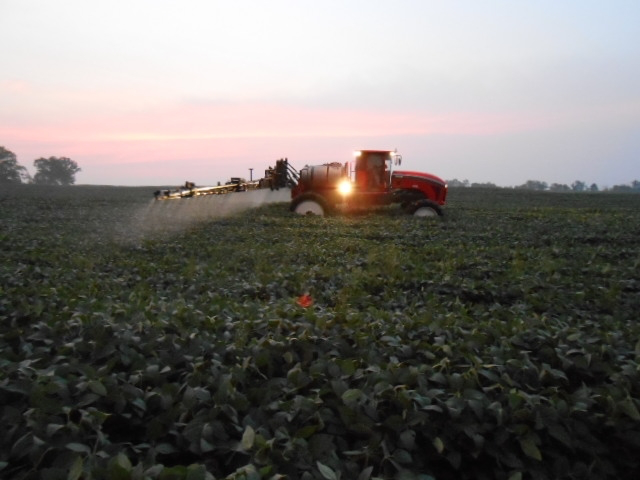 Shortly after the first application, the Soybean filed began an explosion of growth with renewed vigor and vitality. This photo was taken after the second application on July 7th, which was only 15 days after the first. This field was very sick. 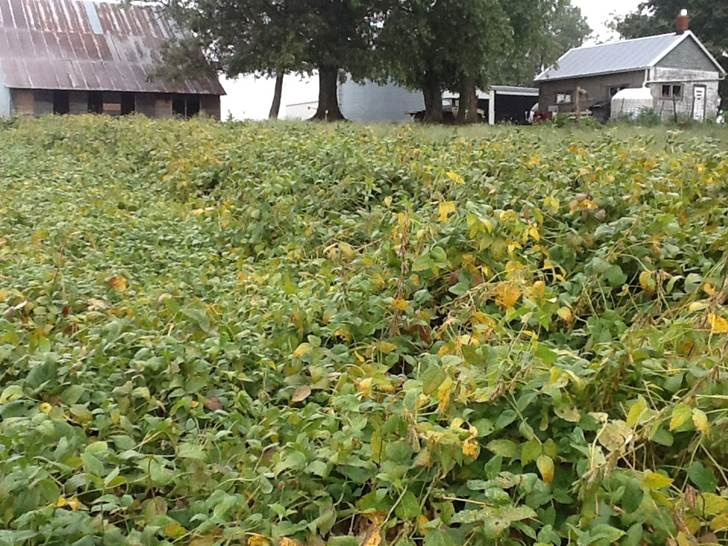 Shortly after the first application, the soybeans shot up in an explosion of growth! 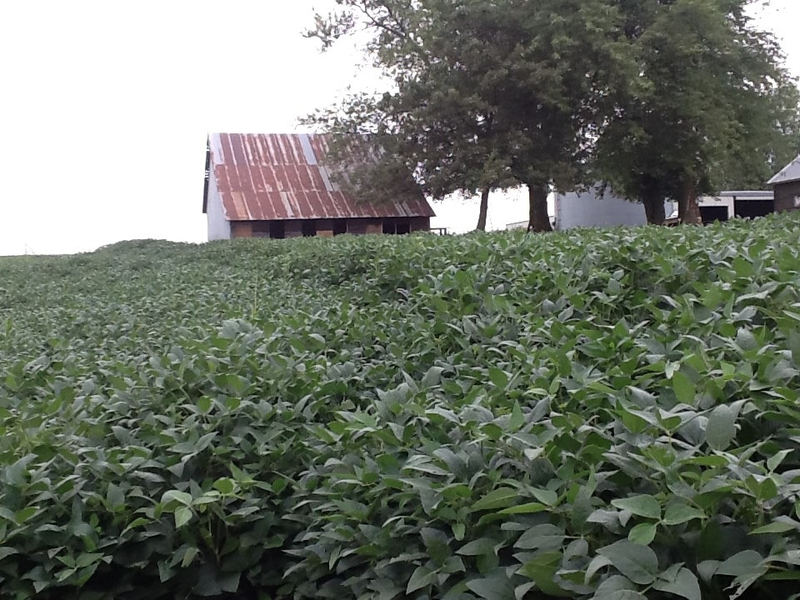 Between the third and fourth application of Blue Gold™ the soybean field grew to over two feet tall! 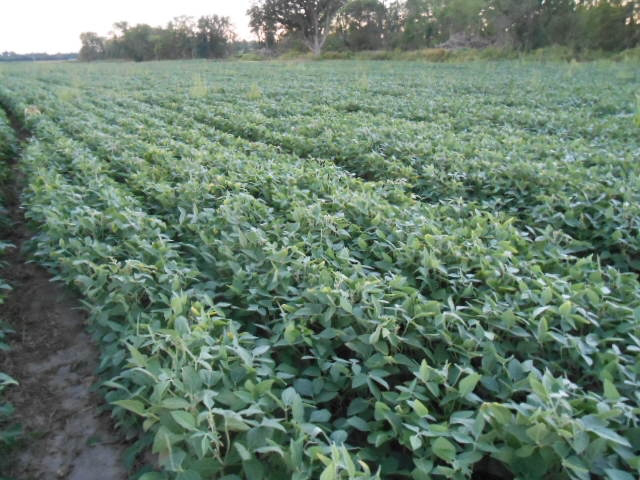 This is the average minimum for ***fully grown*** soybeans. Be sure to notice the increased leaf size, which looks about double then average. 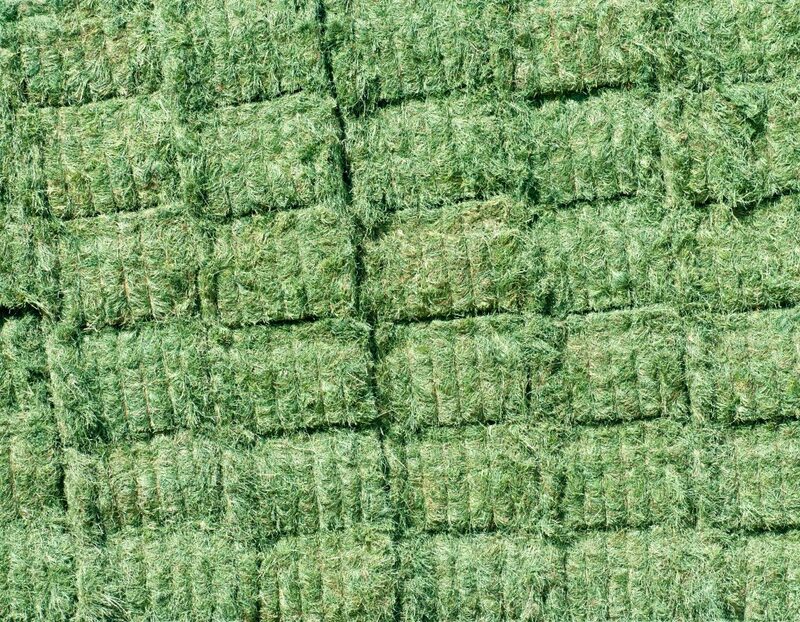 No pesticides, no fertilizer inputs, no herbicides - just Blue Gold™. Notice the beans on the right are twice as tall as the beans on the left. The land is flat here where the edge of the field stops at the barn in the photo. 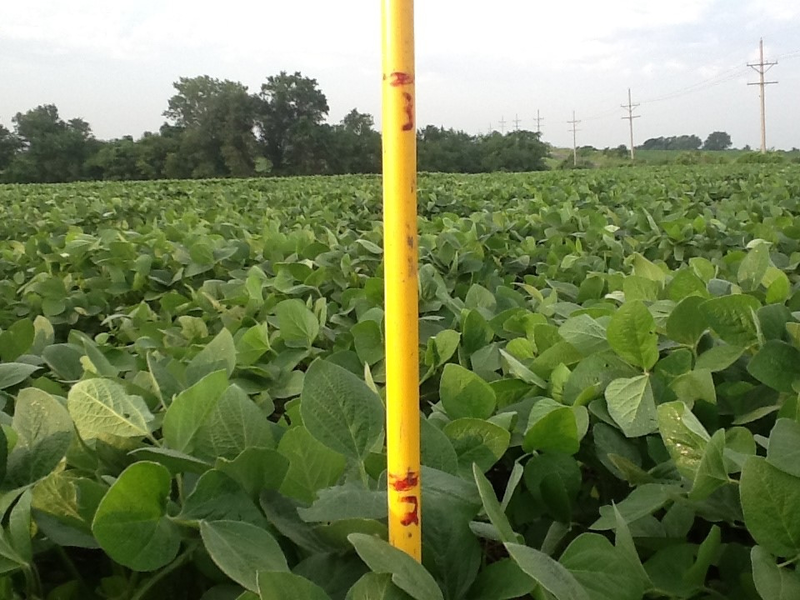 These right side beans received two applications of Blue Gold™ where the left side beans received none. The right side beans are 4’-6” tall all the way down to past the barn. 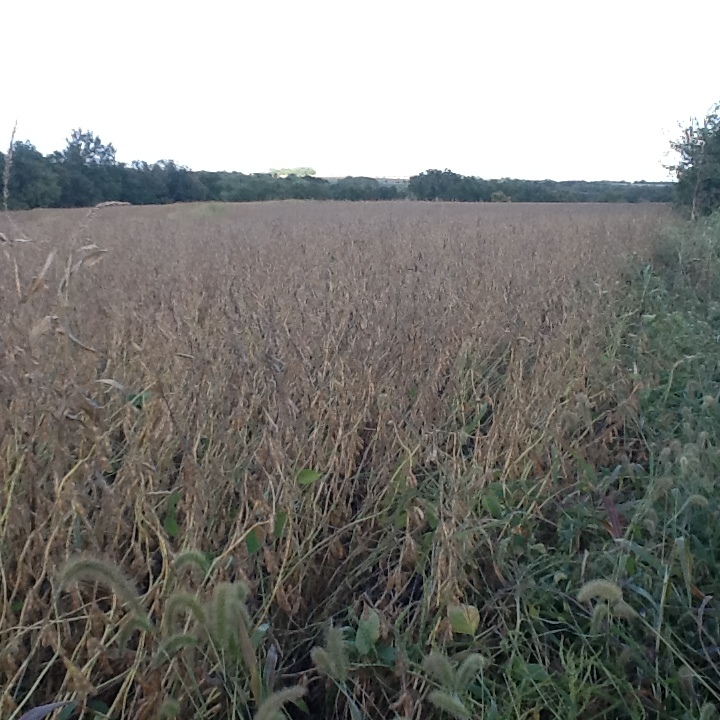 Prior to harvest the left side beans lodged (fell over) and the right side Blue Gold™ soybeans stood tall with no issues. Photo was taken on August 9th. 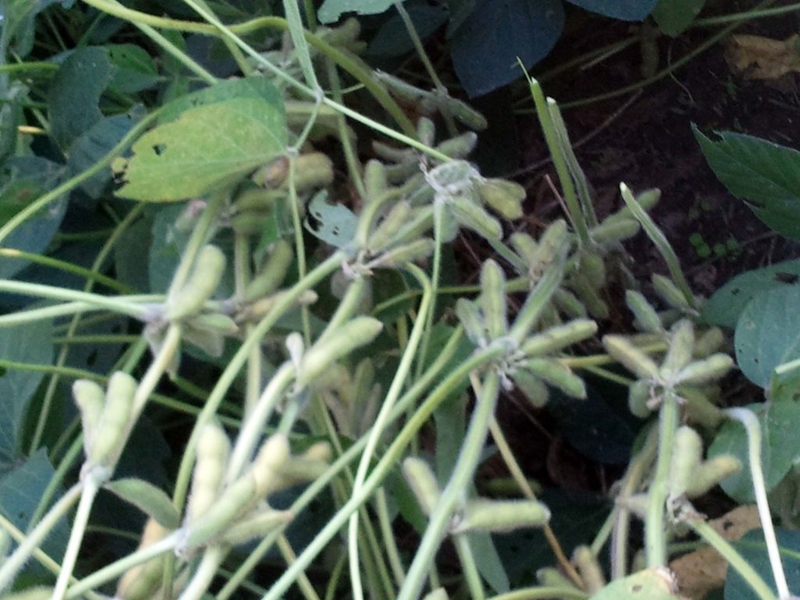 This photo was taken on July 31st and showed a close up of the pod blooms and bean pod formations. 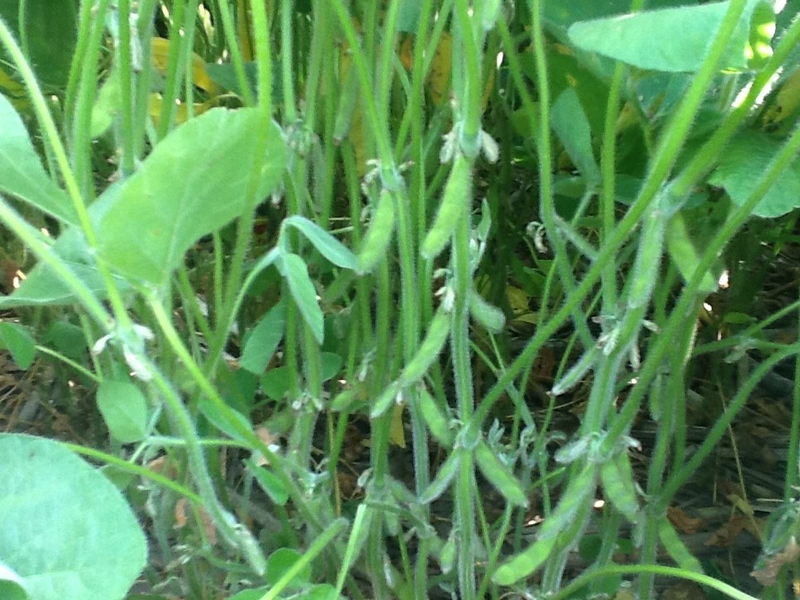 The soybeans showed increase growth and started to produce pods early! Between the fifth and sixth application, the field had grown to four feet tall! Here we are, not even at harvest, and the plants are already at maximum average harvest height! This photo was taken on July 31st. 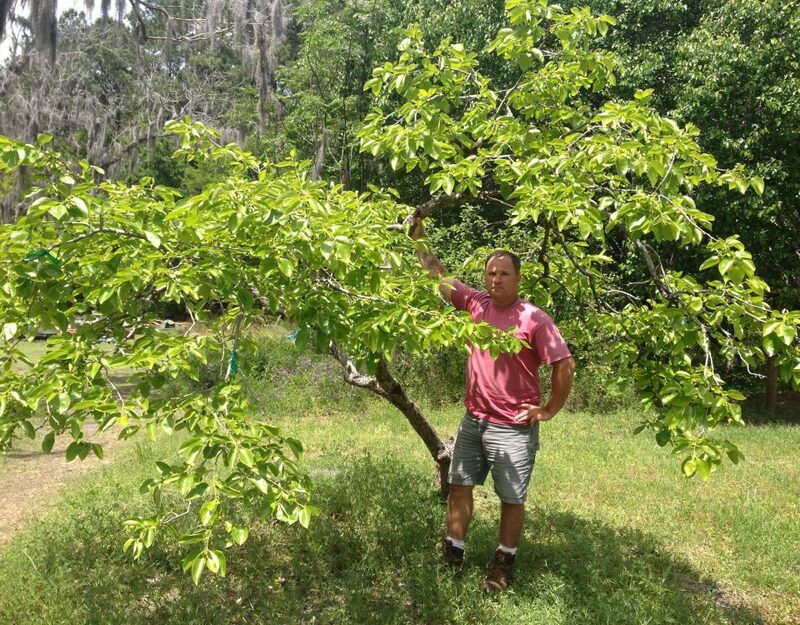 There was no evidence of pest and disease damage. 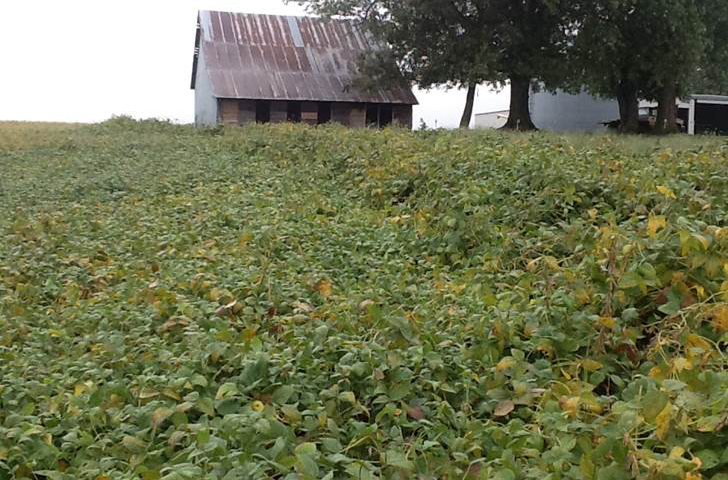 The farm owners said these are the healthiest plants they had ever seen. 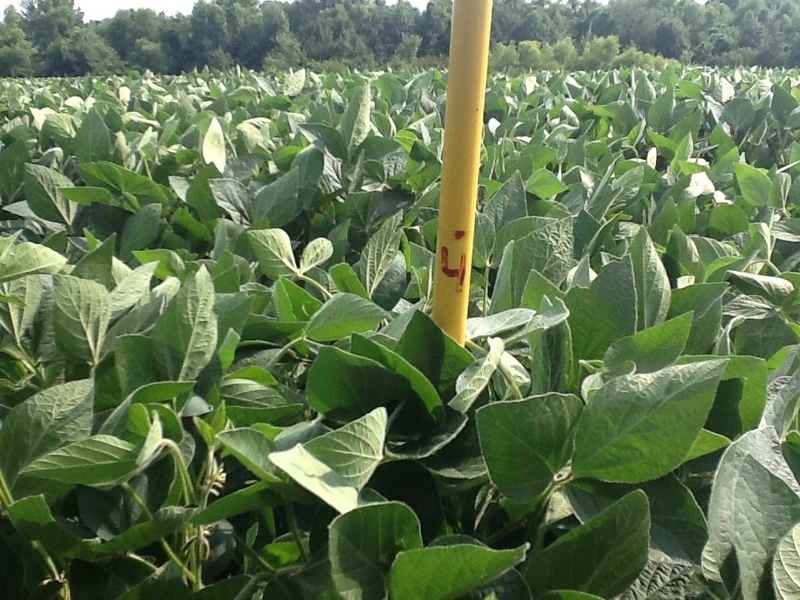 Blue Gold™ Soy is 18” taller than “normal protocol” sprayed crop! Only a couple months along and with only three applications, and in the middle of a drought, these soybeans are well on their way to passing 4' tall! 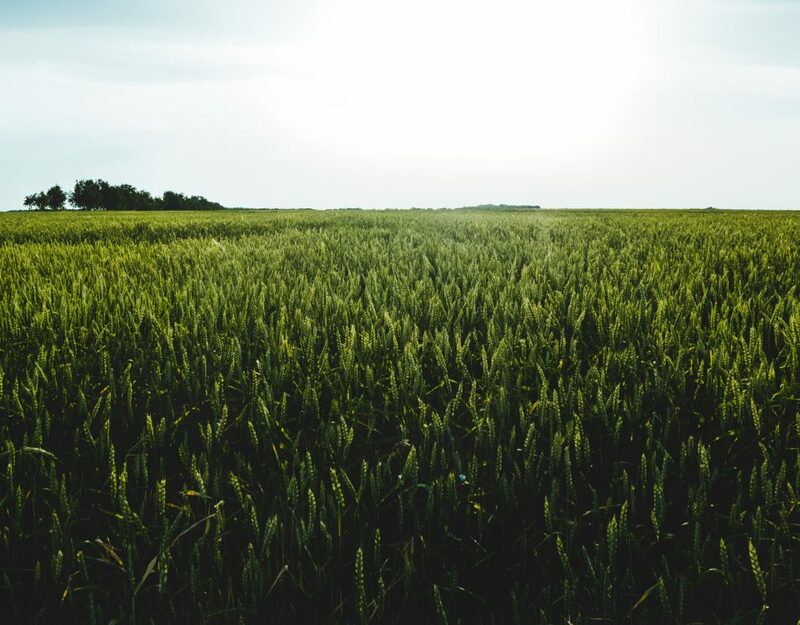 It's a sad truth, but children can no longer play in farm fields due to the chemicals, pesticides, and other dangerous toxins used in today's modern farming. With Blue Gold™ Solutions your harvest increases organically, making your field a safe place for the kids once again. 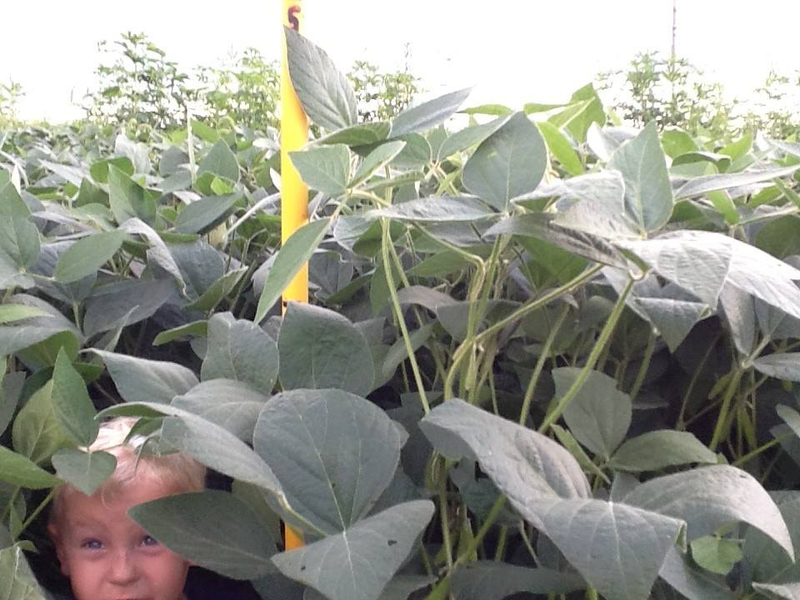 Check out the 5-foot tall soybeans grown only with Blue Gold™ Solutions. This photo was taken on August 9th. Notice leaf sizes and the plants were still showing no pest or disease damage. This photo was taken on August 20th and shows dark green healthy plants. No pest or disease damage still! 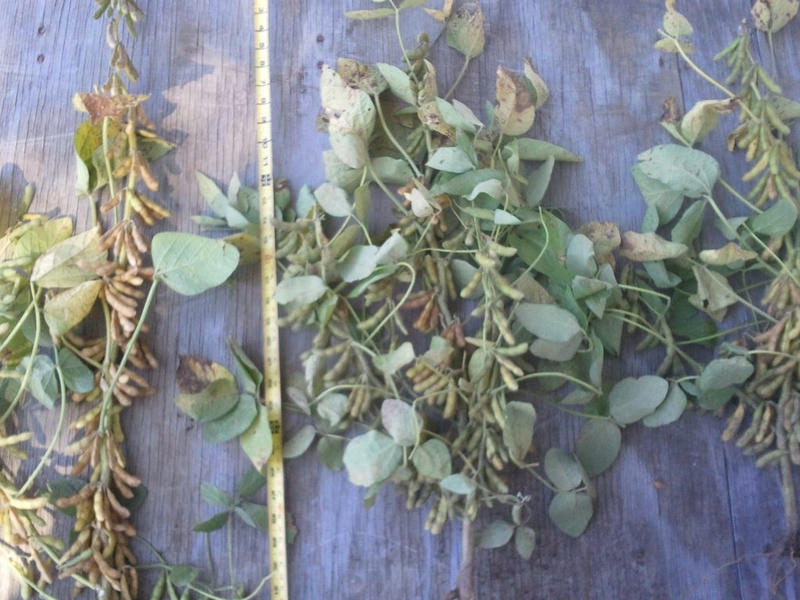 (1/2) Taken in the early stages, we can see that the Soybean plant is heavy laden with many pods. The average plant will only support 1-2 pod clusters. Taken on Sept 10th this photo shows two pulled plants from Malta Bend, Missouri which is toted as some of the most fertile ground in the world. 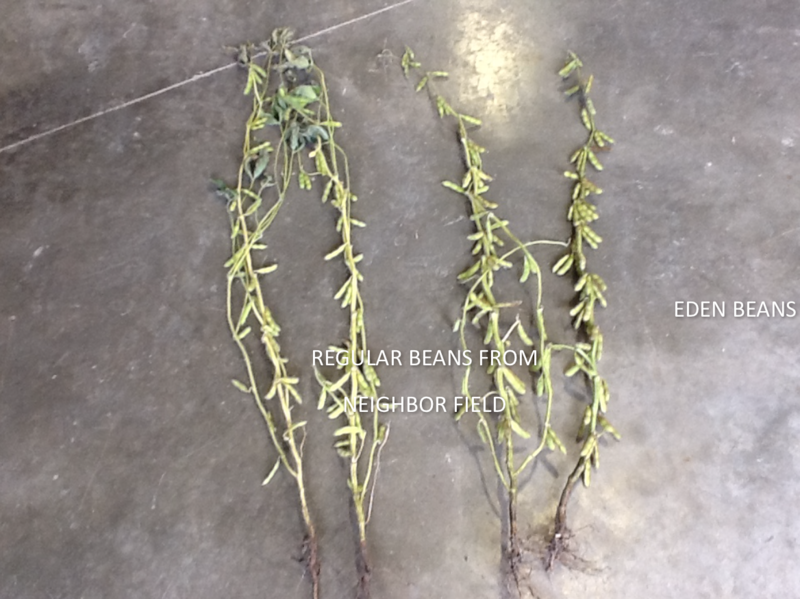 The beans on the left are a chemically grown average Missouri plant form a neighboring farm. 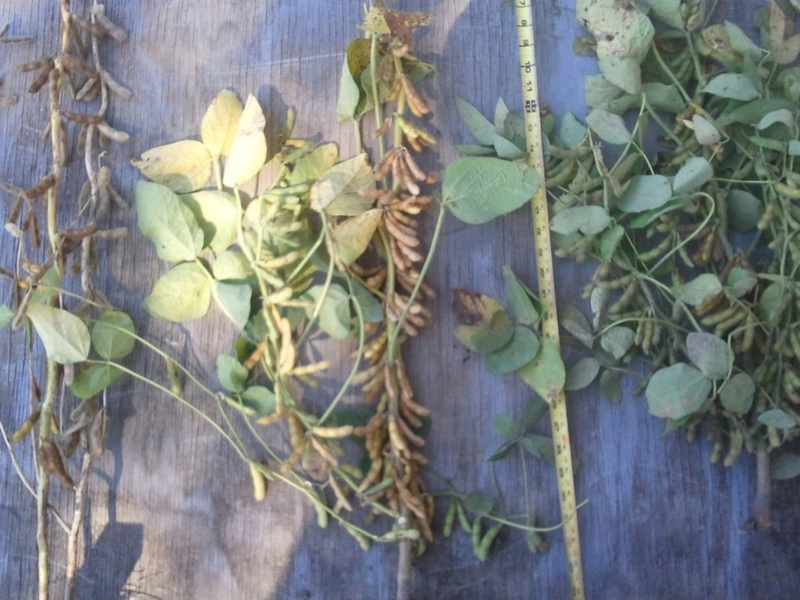 The beans on the right from a chemical induce marginal field using Eden Solutions. Notice the root size difference, the pod clustering increasing. What else can you see? These beans were randomly picked from both fields by a local third-party seed dealer. 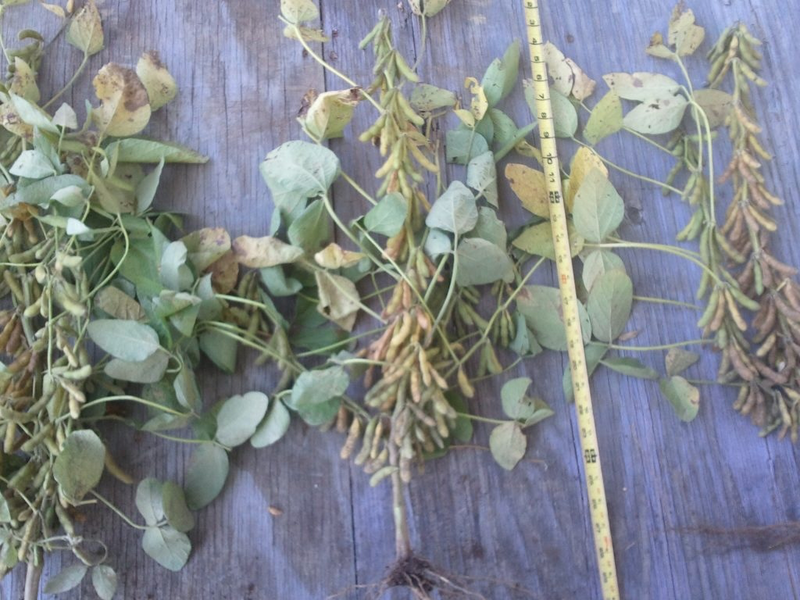 (2/2) The Eden Solutions soybeans almost look as if they are bulging out of their pods. 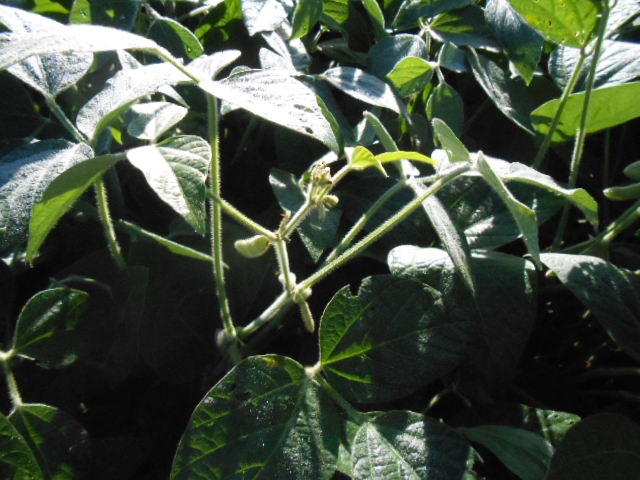 Most bean plants will never set beans above the canopies and all the way to the top. 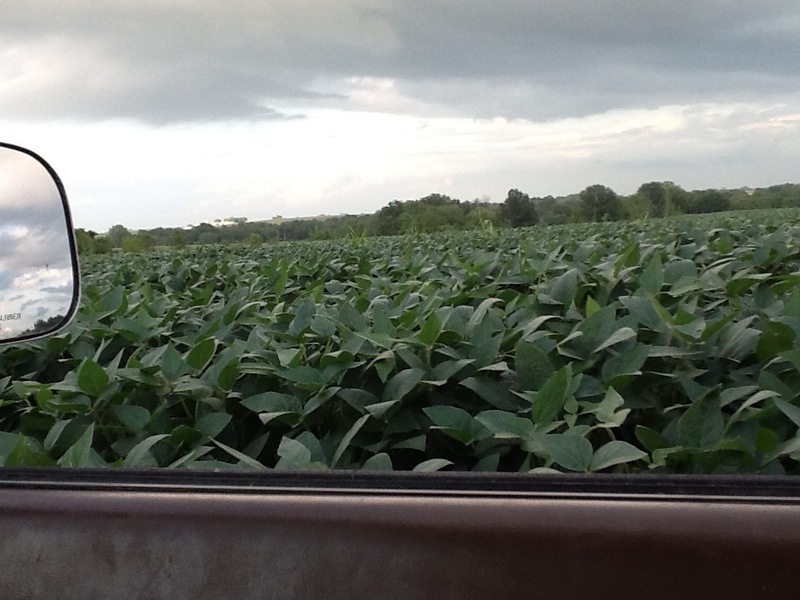 A dark, lush soybean field! Just the way it was intended to be, as opposed to stunted underproducing 2 foot high plants. 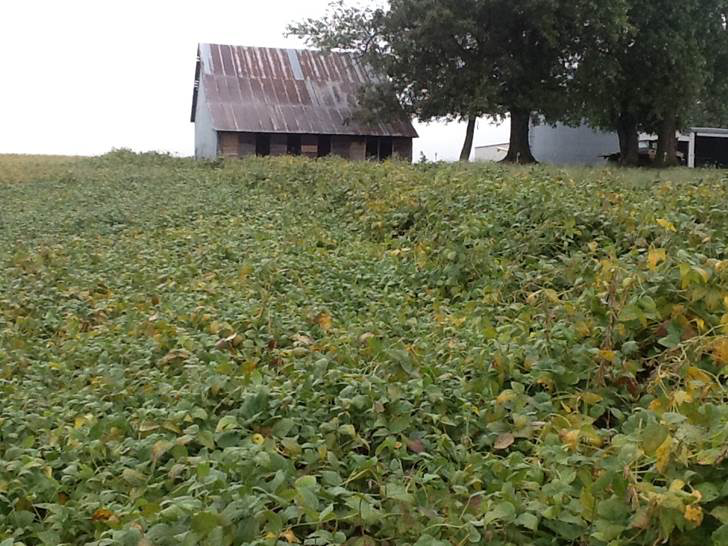 These are Blue Gold™ soybeans from a test plot in Blackburn, Missouri during one of its worst droughts in recorded history. It's not harvest time yet, but we pulled a couple of random plants and wanted to count the pods! You can see it is heavily laden with many pods. 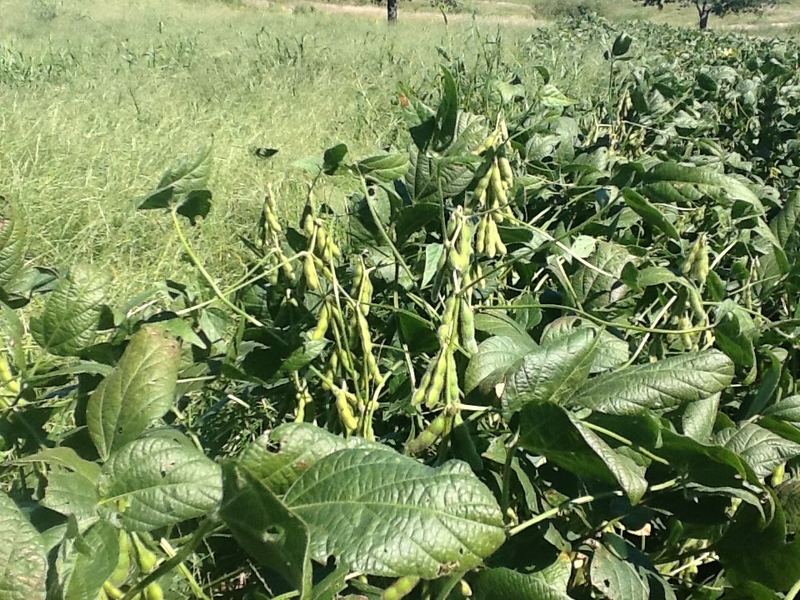 The test plot experienced over a 200% increase in harvest, and the plants produced over 210 pods each, on average. Typically, pods will only support one to two pod clusters, while you can see for yourself below that these clusters are bountiful! 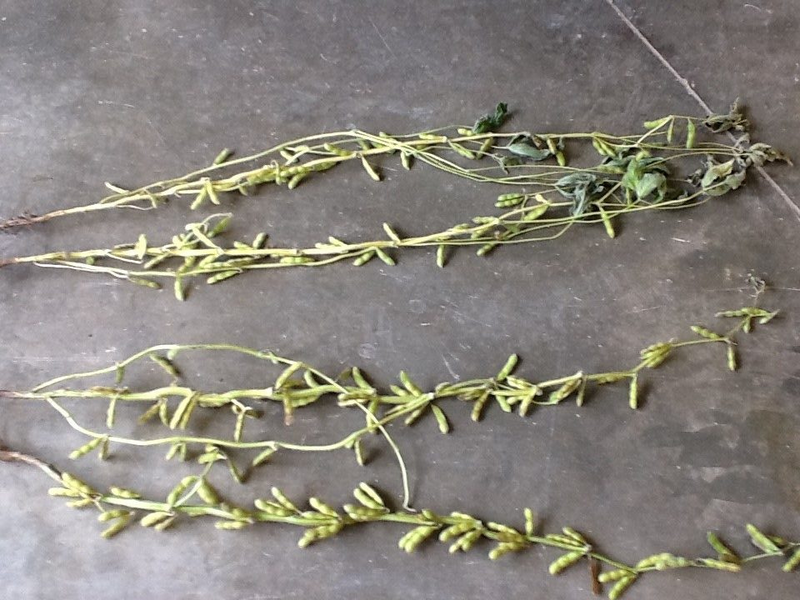 The plant on the left is from a neighbor field grown chemically, and the plant on the right is Blue Gold™ bean pods. First season. First chance with Blue Gold™, with zero fertilizer, biological, or any plant or soil nutrient input. Just a single Blue Gold™ Solution. Wow! Taken on October 3rd this photo should show post-mortem effects after 7 plus inches of torrential rains and wind gust to 60+ mph. 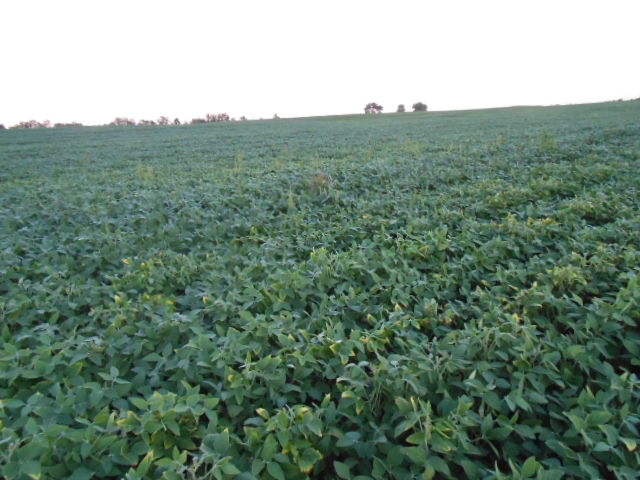 And yet the Eden Solutions' soybeans are still standing. Harvest date set on October 21st if there is no more rain. 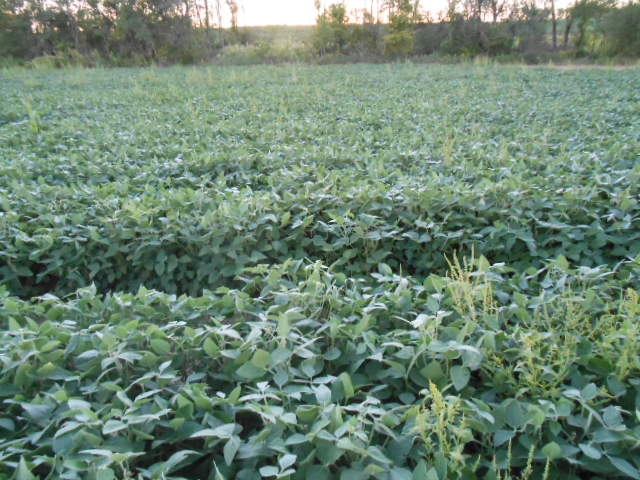 Everyone said these soybeans would lodge (fall over) because of their enormous size. In all this amazing inclement weather, not one stalk lodged. 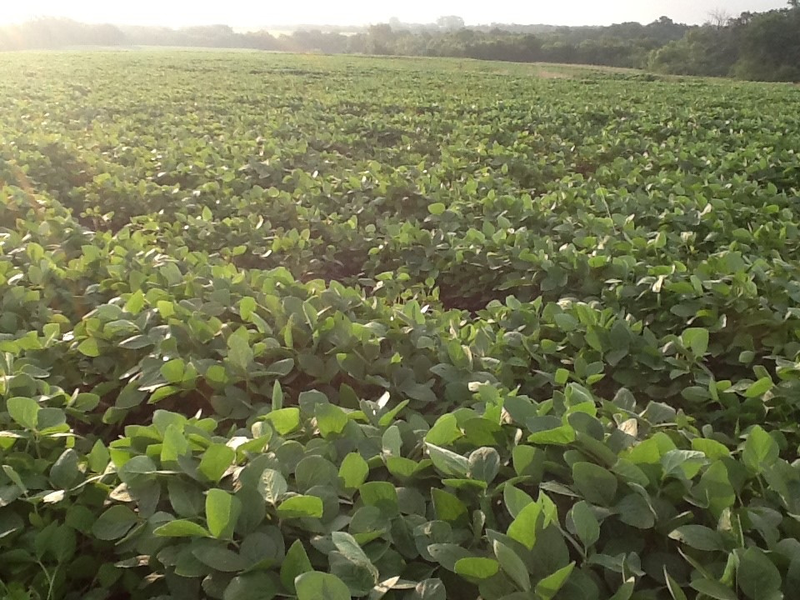 Blue Gold™ Soybeans were standing tall. 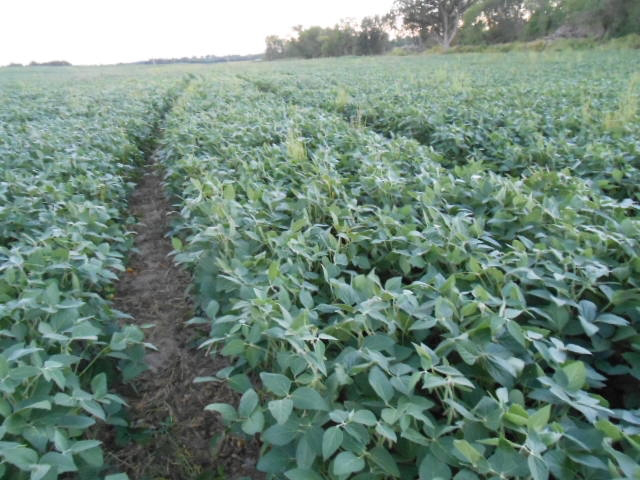 This Blue Gold™ test plot soybean field was entered into a Missouri State contest. 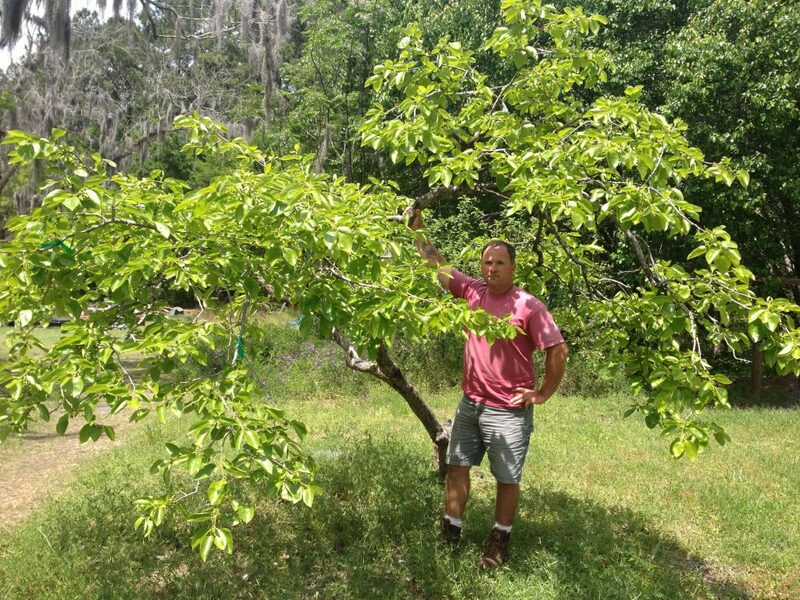 The farmer's field produced on average 30 -34 bushels per acre for the past five years. 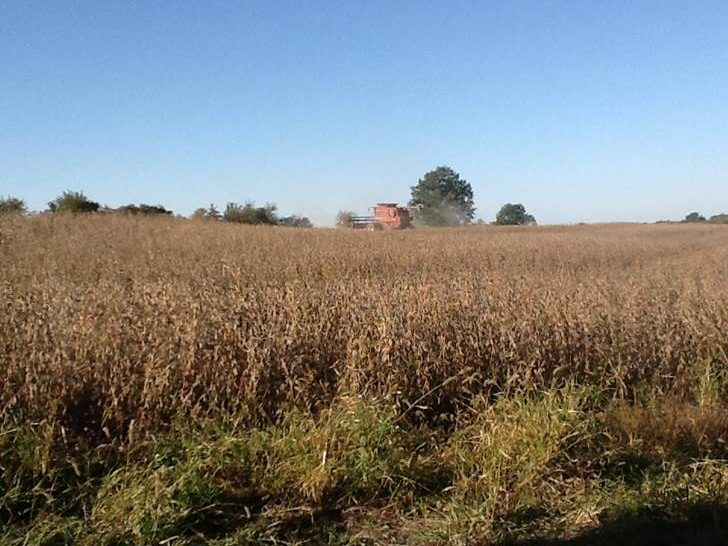 The Blue Gold™ test plot field produced a high of 93 bushels per acre and an average of 69 bushels per acre. 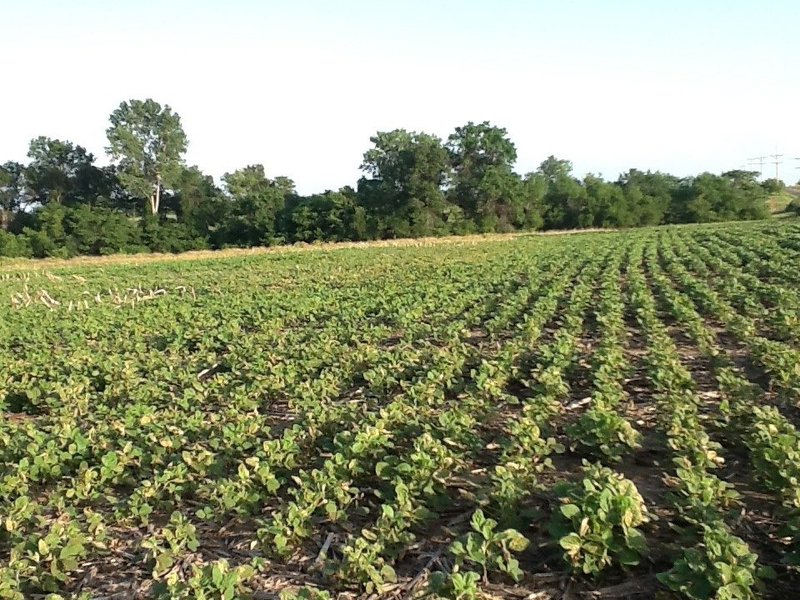 With over 230 fields entered, our Blue Gold™ test plot came in 7th place! For some background, this field was the 'worst' the farm had and was all they were willing to use to test a "new" product. The results were terrific, especially since this was the first season of just Blue Gold™ without any fertilizer, herbicide, or pesticide use! 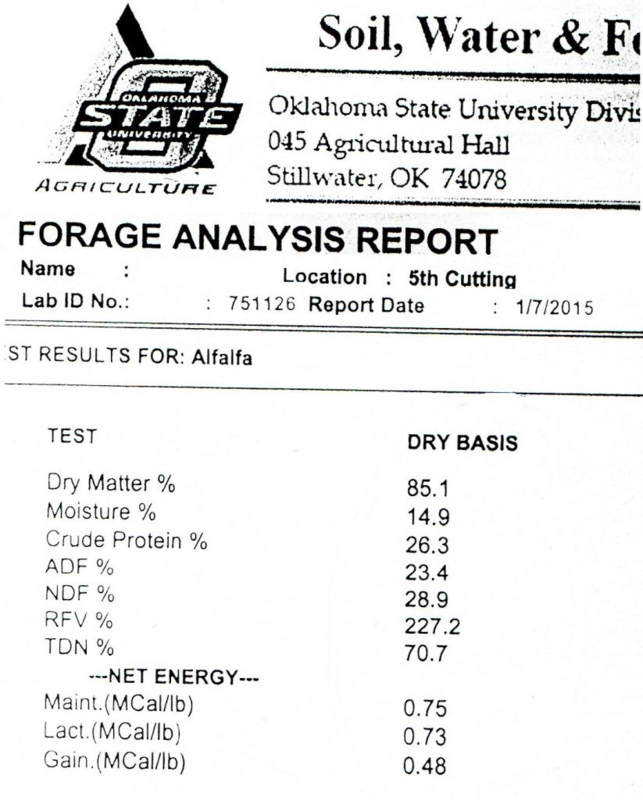 We can also provide the lab reports showing the increase in moisture, protein, etc. Eden Solutions guarantees results, and we saw an abundance of them.